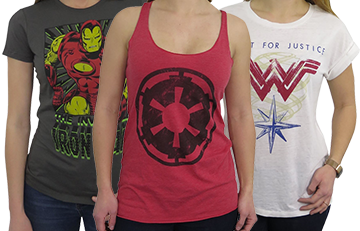 The Superman Symbol on Royal Women's V-Neck takes your standard issue Super symbol and applies it the ultra-stylish v-neck form! Hooray! I think that may mean you can gain more energy from a yellow Sun but I could be mistaken. I always get such erratic information when it comes to these sorts of things. 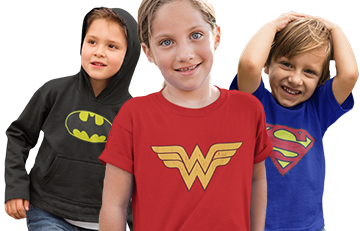 Any-who, the 100% cotton Superman Symbol on Royal Women's V-Neck is what you need when it is nice outside or you are going to rescue your friends on an abandon pirate ship in the Pacific Northwest. Oh, and Rudy is there. Rudy! Rudy! Rudy! Wife looks SUPER! Respect to SuperHeroStuff.com for replacing the original order that had holes! Excellent color, good T shirt fabric! Looks great and I can leap tall buildings.....not really. Needed to get a little bit larger size, return and replace was easy - it did say "slim fit". Got the large slim fit and it was a little tight around the hips. I usually wear a medium but was advised to go a size up, which I did. The shirt arrived quickly but was a little long, however by making fringe I solved that problem and now get compliments whenever I wear it. I absolutely love it and would definitely recommend getting it ! 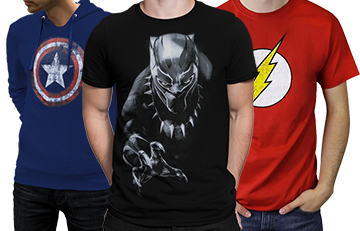 Every Superman fan should have this shirt! ? ?